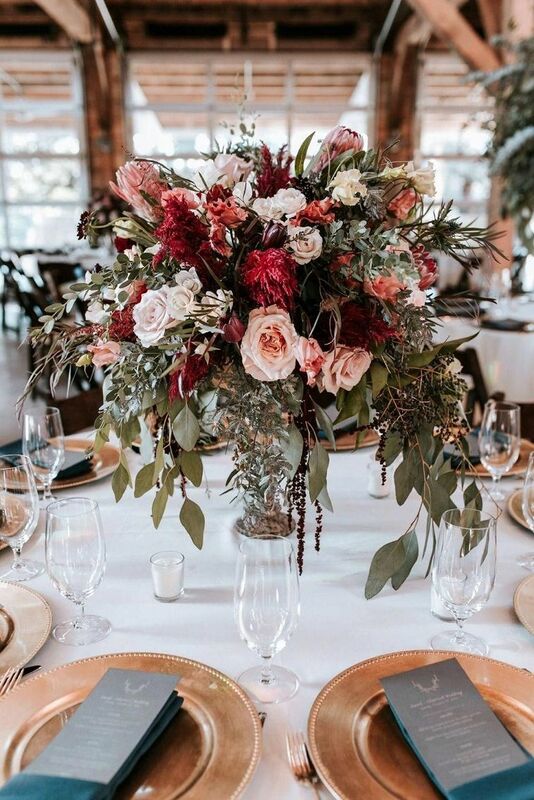 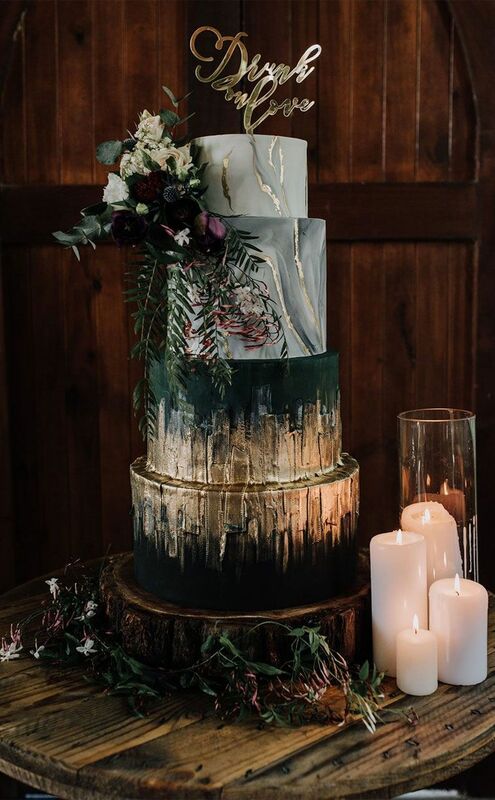 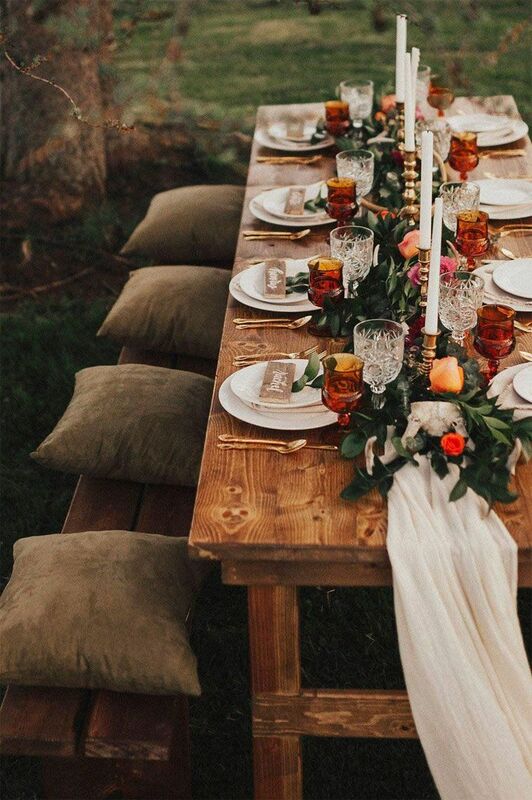 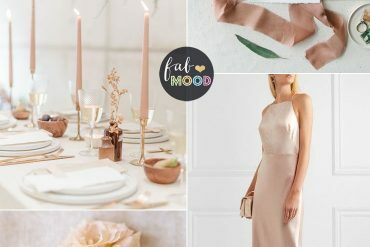 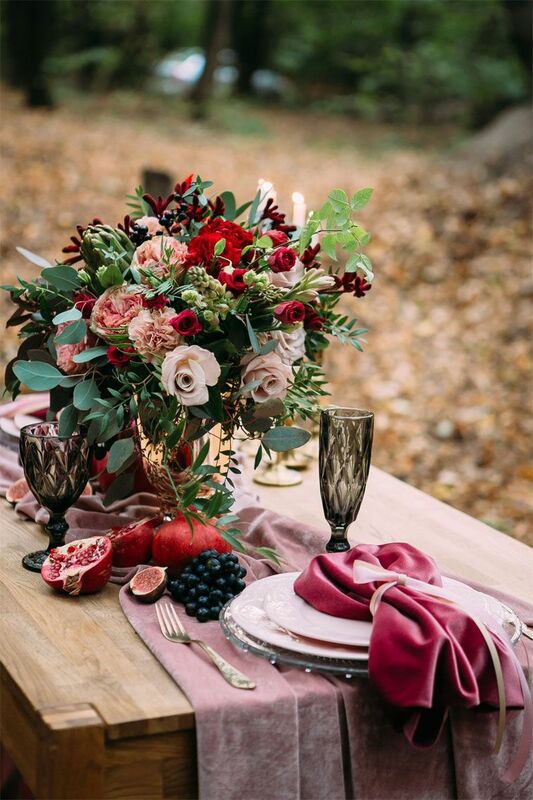 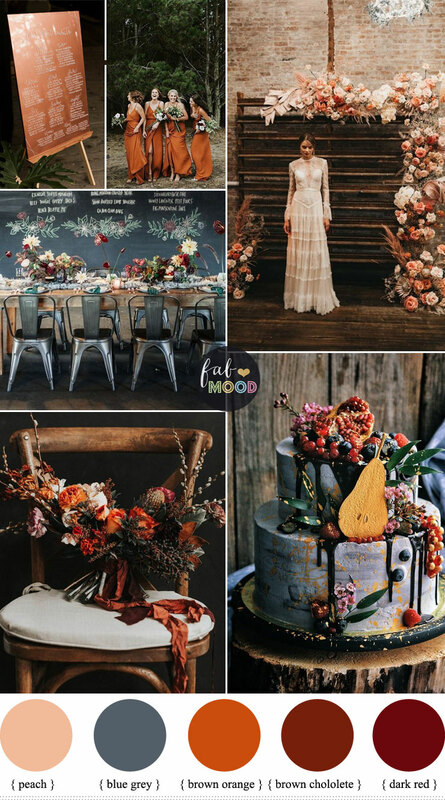 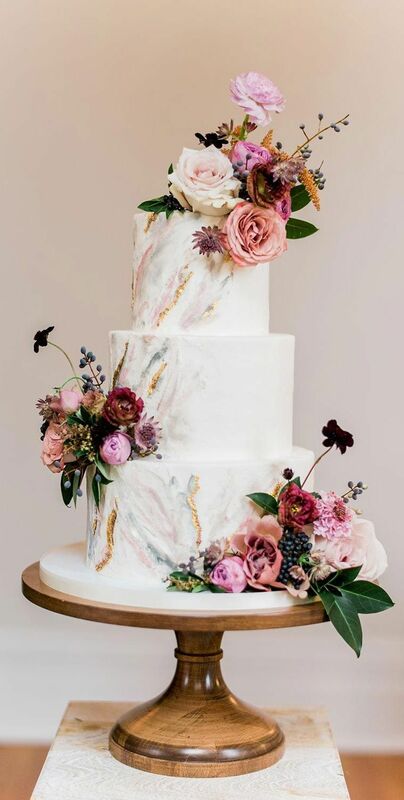 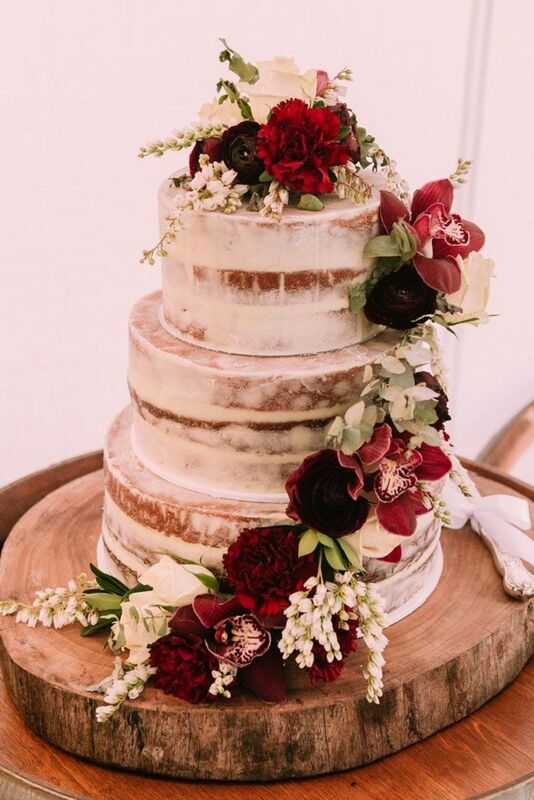 Fabulous mood at your autumnal wedding with a color palette that speaks to the beauty of the season would be Jewel toned colours. 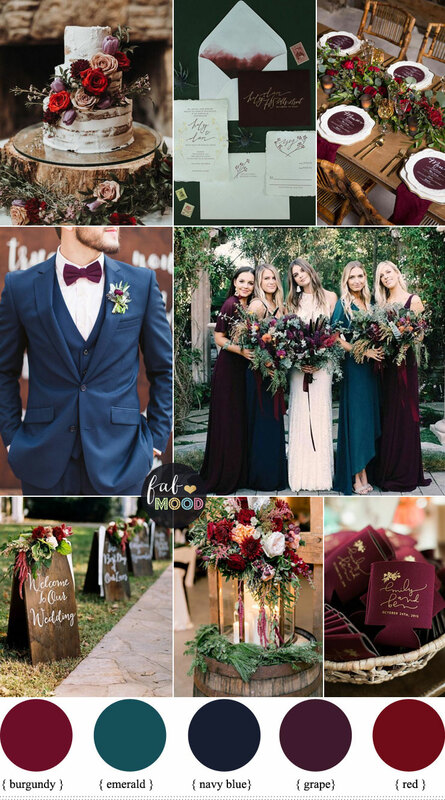 The vibrant and rich shades of jewel tones are perfect for a bride who loves high style. 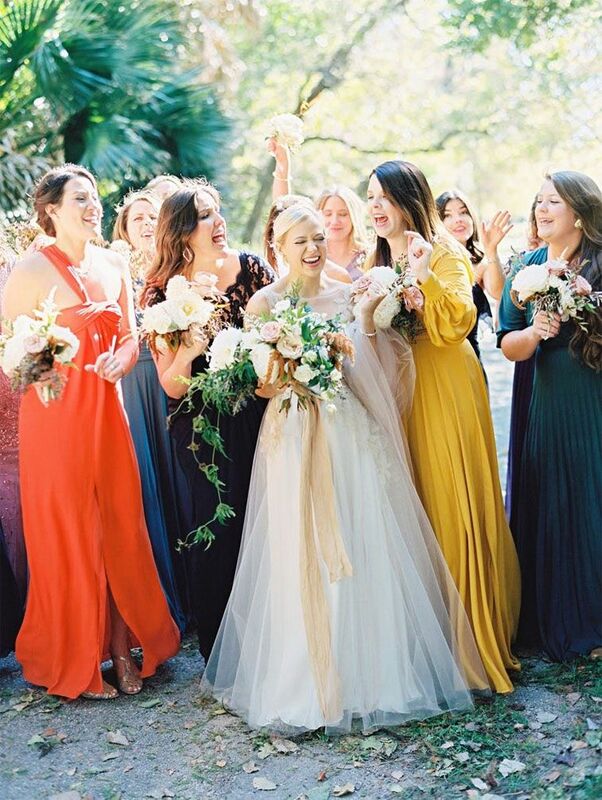 If you wonder what jewel tone colors are? 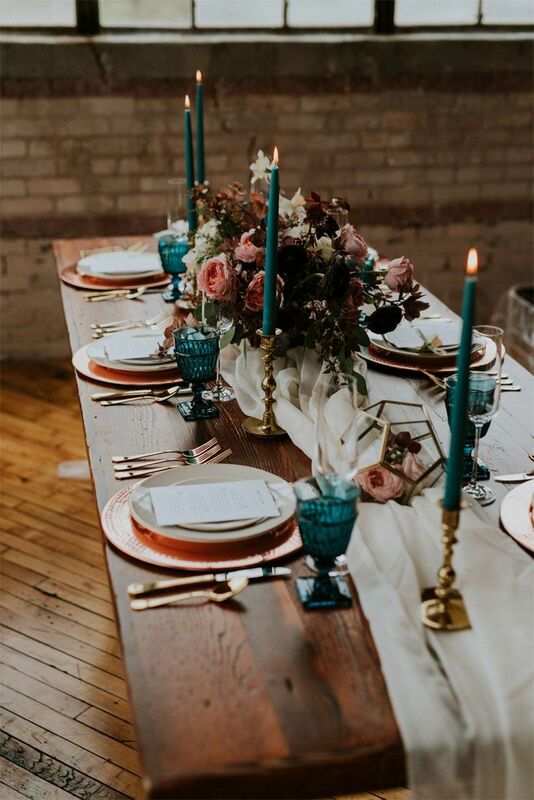 Jewel tone colors are richly saturated hues named for gemstones including amethyst, citrine yellow, sapphire blue, red, purple, and emerald green. 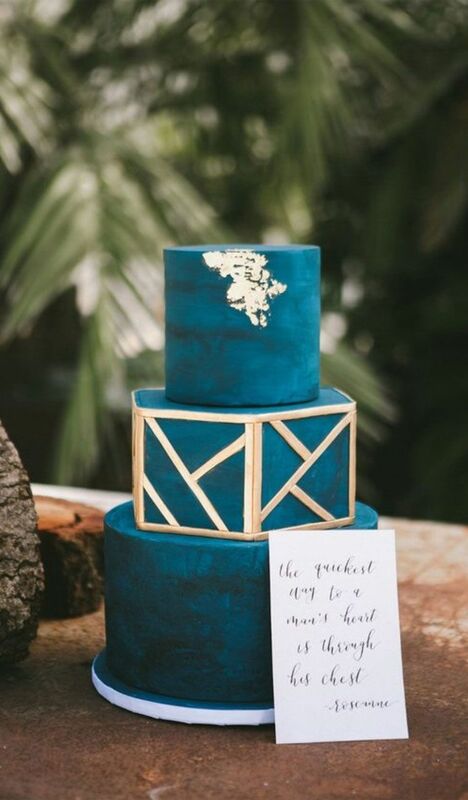 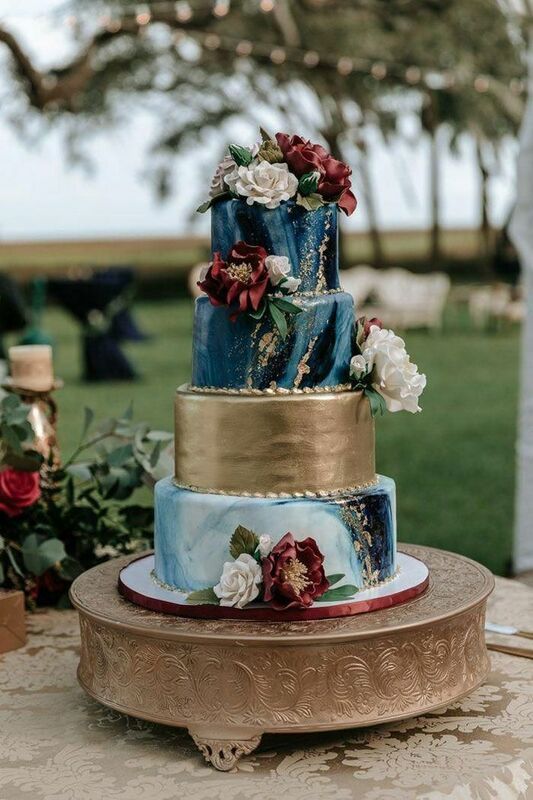 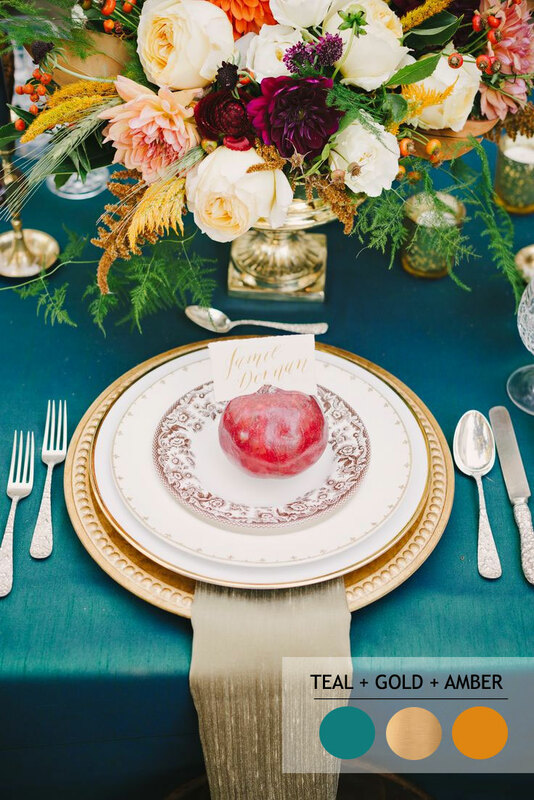 We applied these jewel-toned colours to today’s wedding colour palette. 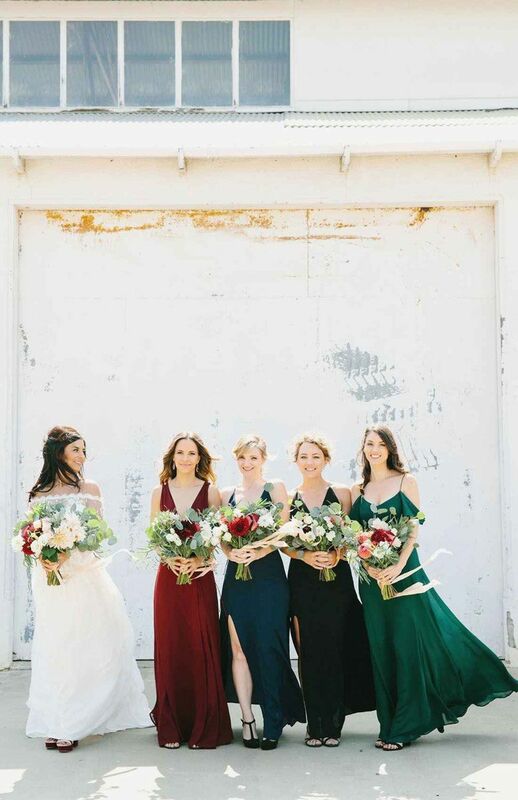 We chose shades of red including burgundy and deep red paired with emerald green + navy blue and grape colour. 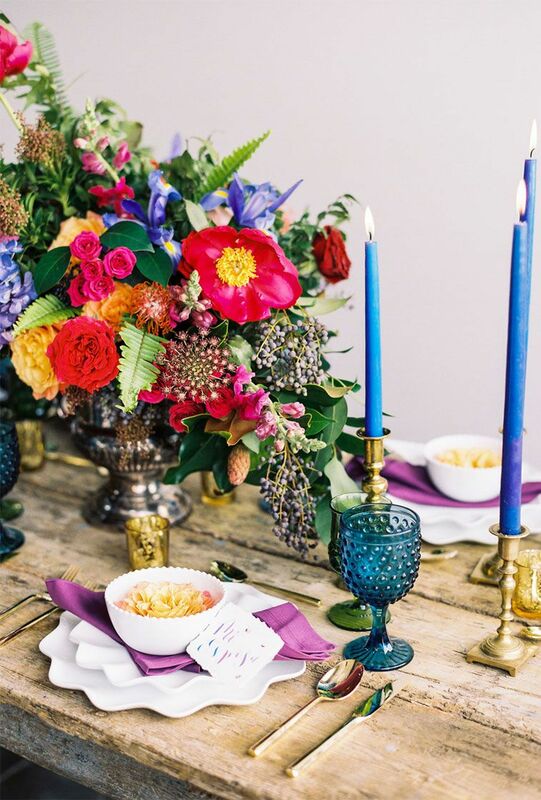 If you’re planning to introduce a jewel tone wedding theme, it’s important to decide on your shades. 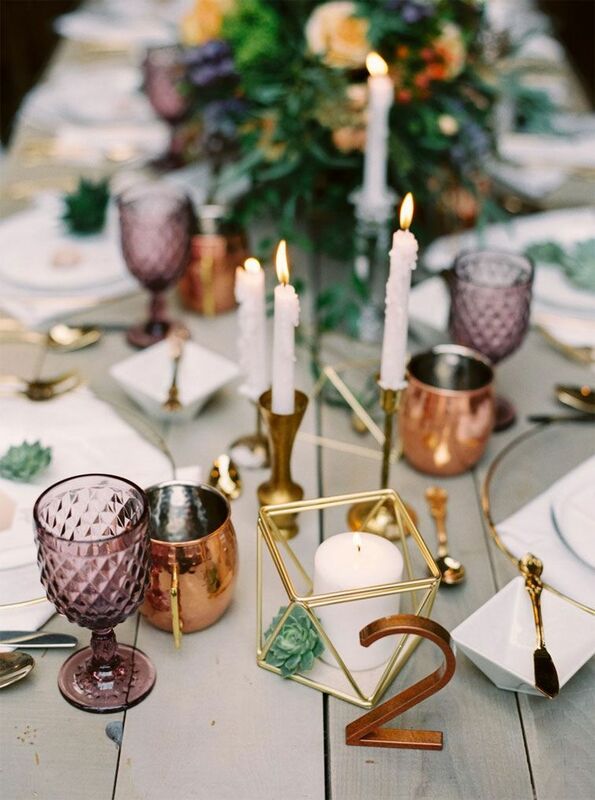 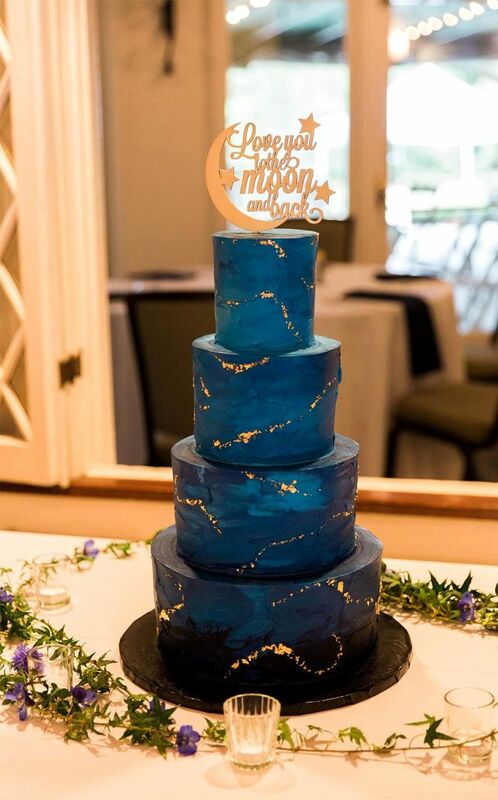 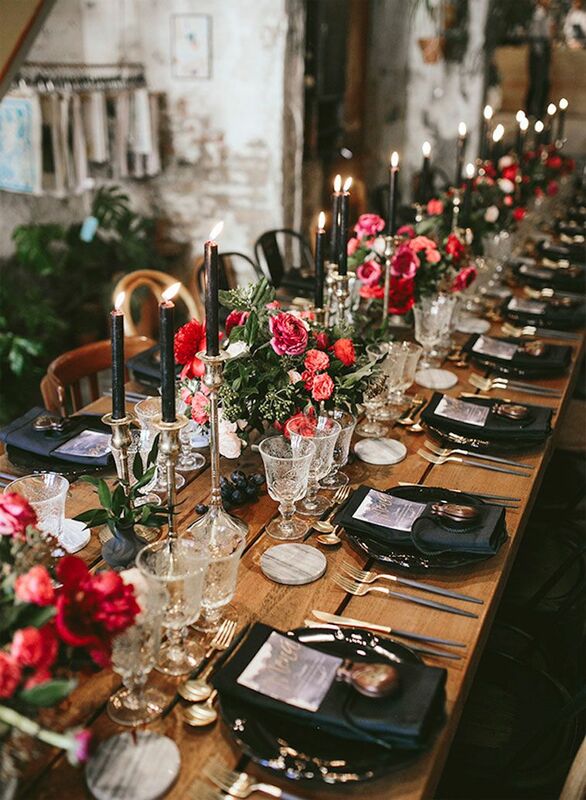 The colour you choose for your wedding will ultimately set the theme for the entire wedding. 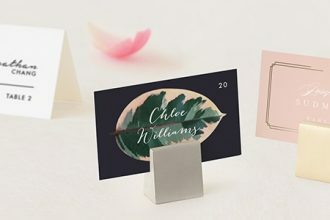 You might choose just one colour or two or more. 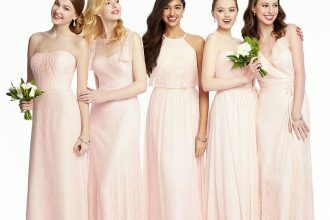 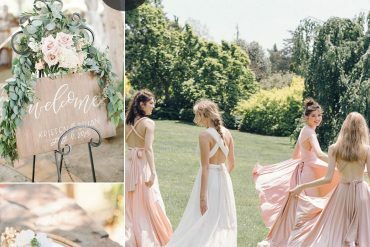 Begin with your bridesmaid dresses, if you like the ideas of mix and match bridesmaid dresses this is a good place to start with please see image of bridesmaid dresses below in jewel-toned. 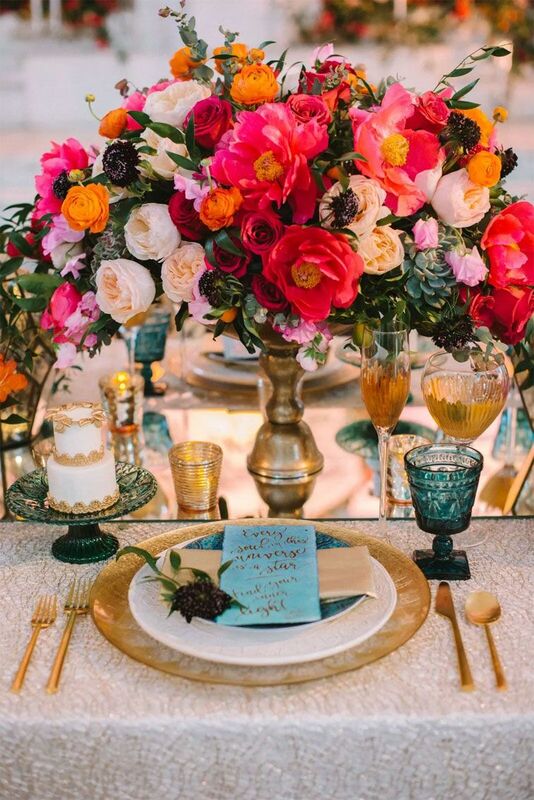 And then use the rest in combination for everything from flowers to linens to stationery.